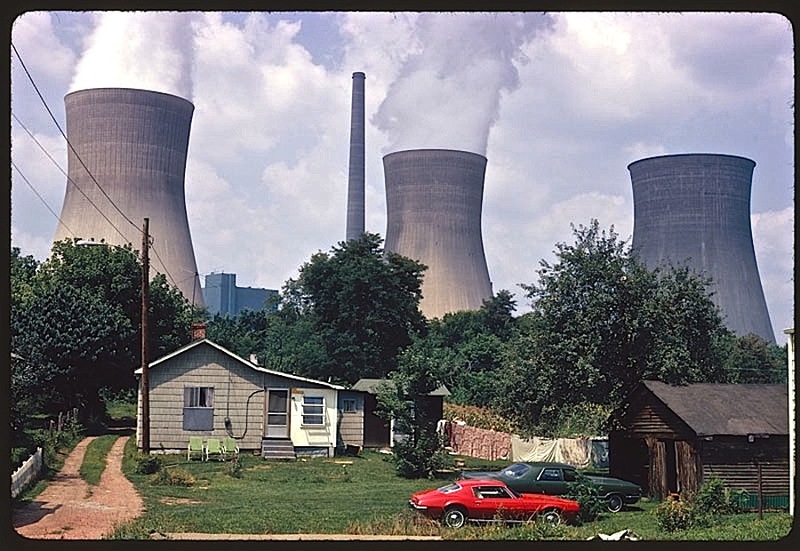 This photo† (shown here with original caption) was taken in August 1973 by Harry Schaefer for DOCUMERICA, a photography project of the U.S. Environmental Protection Agency. There are more pictures from DOCUMERICA here. †Via the U.S. National Archives Commons on flickr. Wow! That looks so futuristic in a way. How do you compete with those? I hope they had a nice pastoral view looking the other direction. Hard to imagine living with that looming over you. And I’m sure they can’t just pack up and leave. I suspect that the plant was one of the few places of steady cash employment in the area. We drove by these on a trip out west. They are large enough to make West Virginia’s famous mountains look smaller.